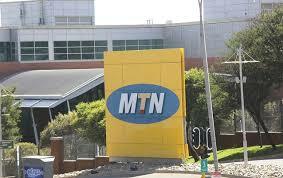 Eight MTN Group executives have received more than 1.3 million shares in Africa’s telecommunications giant, valued at about R116.9 million (UGX31.2 billion) at the market price (R87.79) when they were issued at the end of December. The shares, issued under the Group’s 2015 performance share plan, vest in December 2021. South Africa’s The Citizen reports that the Group president and CEO Rob Shuter received more than 430 000 shares, valued at R38.3 million at the market price on December 28. Group COO and group CFO, Jens Schulte-Bockum and Ralph Mupita, received around 200 000 shares, valued at R18 million and R17 million, respectively. It should be noted that these are only shares awarded to the three executive directors and named prescribed officers. Employees at all managerial levels (junior through to senior/executive) are eligible to be awarded shares. As at end-December 2017, there were in excess of 16 million shares issued under this plan still outstanding. Given the performance in recent years, the Group notes in its 2017 integrated report that zero conditions had been achieved for the awards made in 2015 (deferred to June 2016 and 2017). At the end of 2017, the executives and prescribed officers were awarded nearly 750 000 shares under the plan, significantly fewer than in December 2018. Executives and management stand to make a lot of money from this plan. All that is required, however, is for the group to perform. The Group also granted special cash-settled share-based payment incentive awards to Shuter, Mupita and Schulte-Bockum in “lieu of unvested stocks or equity relinquished upon resignation from previous employment”. Shuter and Schulte-Bockum both joined from Vodafone operations in Europe, while Mupita moved from Old Mutual. The three started at the Group in 2017. Shuter’s appointment is currently for a four-year fixed duration to March 12, 2021, while Schulte-Bockum is employed for a “limited duration period” terminating on January 15, 2021. Both of these dates are earlier than the vesting date of the shares awarded in December. Mupita’s appointment has no fixed duration.